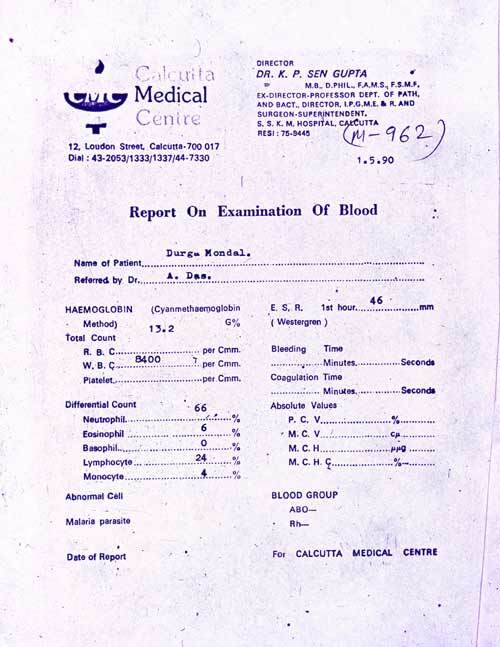 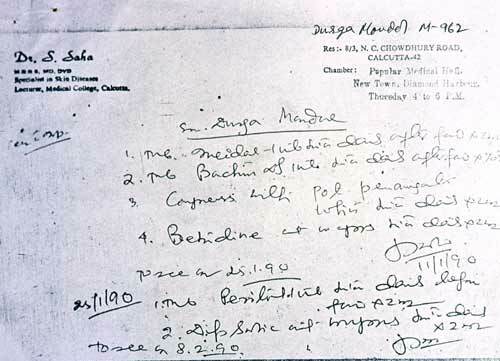 Allopathic (conventional) prescription of Mrs. D. M. before treatment. 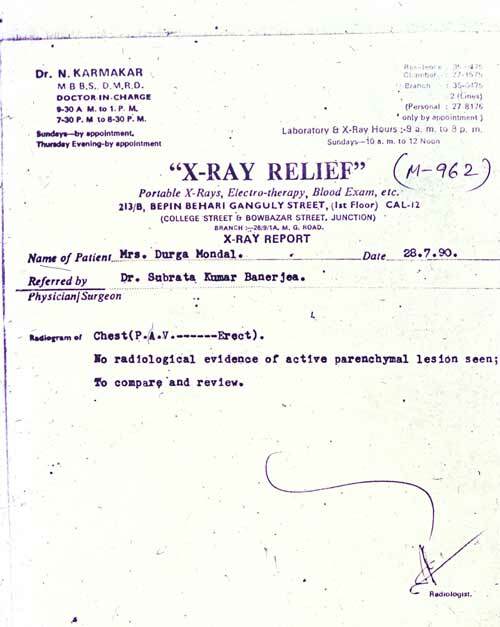 Chest X-Ray report, before treatment. 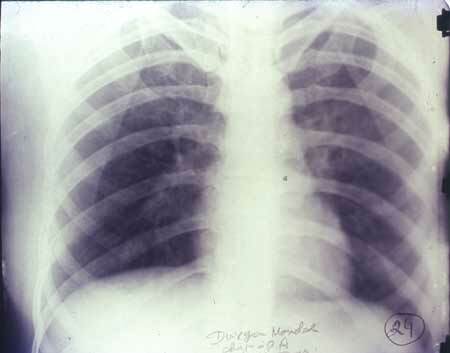 Chest X-ray skiagram, before treatment. 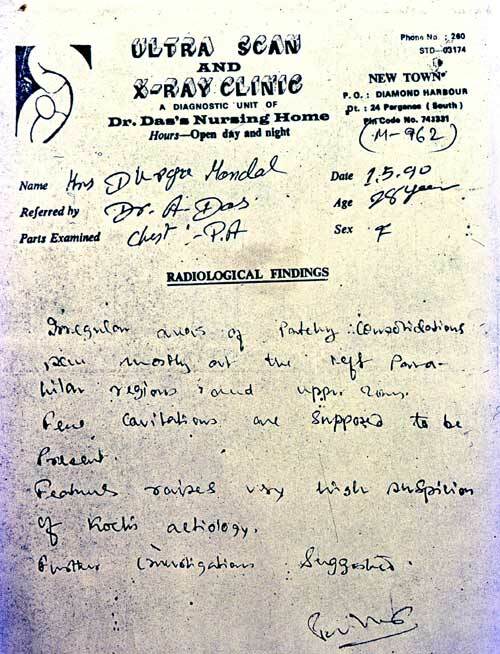 Chest X-ray report, 2 months after treatment. 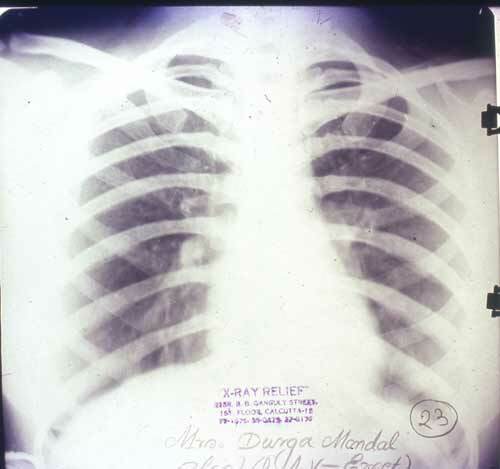 Chest X-ray photo after treatment.